All Topalit tables can be combined to produce a two tone border effect. Personalise your space and design your own table top. One piece laminate tops for use inside and outside. Slick design cafe table top with a dark border for a high class look. Please note that the table base is not included in this price. 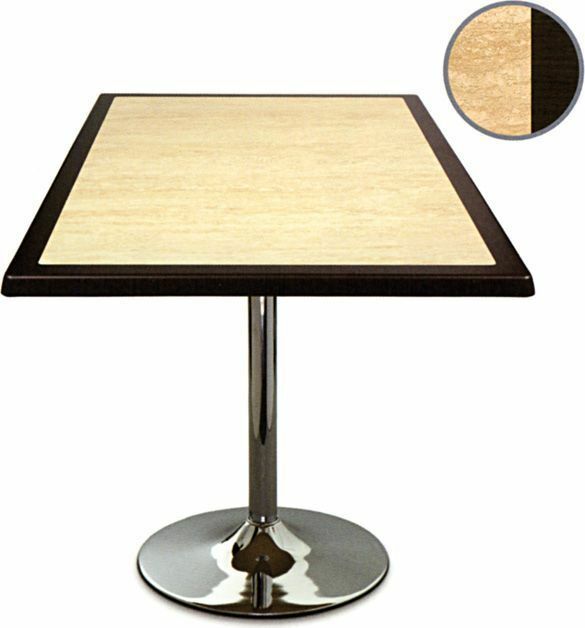 The lead time for this range of table tops is approximately 15-20 working days from order.